I whipped up a worksheet for you to fill out before you begin your web design. You're ready for a new website design, but you've got a lot of questions. Building a great website that gets amazing results takes some strategic planning. And it starts with asking the right questions. 01 // Why am i in business? Websites need to tell your brand story in order to connect with your audience and convert those clicks into customers. Think about WHY you are in business in the first place. Write down the purpose of your business and make a list of all of the products and services you offer. 02 // Why do I need a website? Business owners have many reasons for wanting a new website. Focus on the primary reasons you need a new web design. This will keep you and your web designer on the same page as you move forward towards your online business goals. It's also helpful to set SMART goals that are specific, measurable, achievable, relevant and time-bound. Write down the top 5 business needs of your new website. For example: 20% increase in sales in 6 months, 30% increase in membership this year, reduce admin costs by 15% in 3 months. 03 // Who is my target market? A results-driven website will be designed with your target market or customer in mind. Your website isn’t about you or your business. The more specific you are when describing your ideal customer, the easier it will be to create a website that speaks directly to him or her. Next, write down the top 5 reasons this person will visit your website. Some examples include the following: research product information, get contact details, ask questions about services and pricing. 04 // What is my design style? It’s important to know what you like and dislike about the websites that you visit. This will help your web designer get a sense of direction for the layout of your design. If your competitors have websites, you should visit them to see what they are doing that you think may be working. Think about what you could do better to make your business stand out. Take a look at websites outside of your niche as well. Make a list of websites that you love and write down the reasons why. The more specific you are, the easier it will be for your website designer to translate your design style to your project. 05 // What does success look like? Look into the future and visualize what a successful website strategy will do for your business in 12 months: what would that have to look like? how many website visitors? how many leads? how many sales? This will help your web designer know exactly what you want your website to do for your business and together you will be able to put a plan in place to get you there. I’ve created a worksheet just for you! 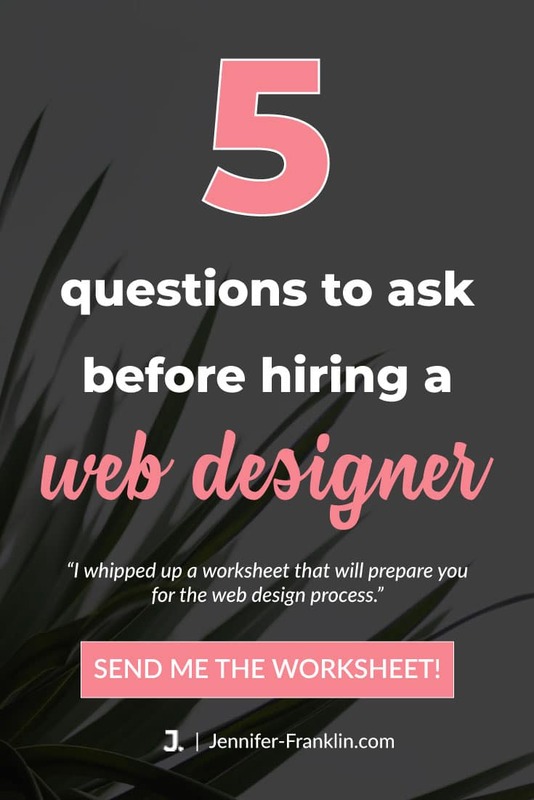 Get my complete list of questions to ask before hiring a web designer. SWEET -> SEND IT TO ME! My passion is helping you! Before we begin working on your new website, we sit down and chat about your online business goals. 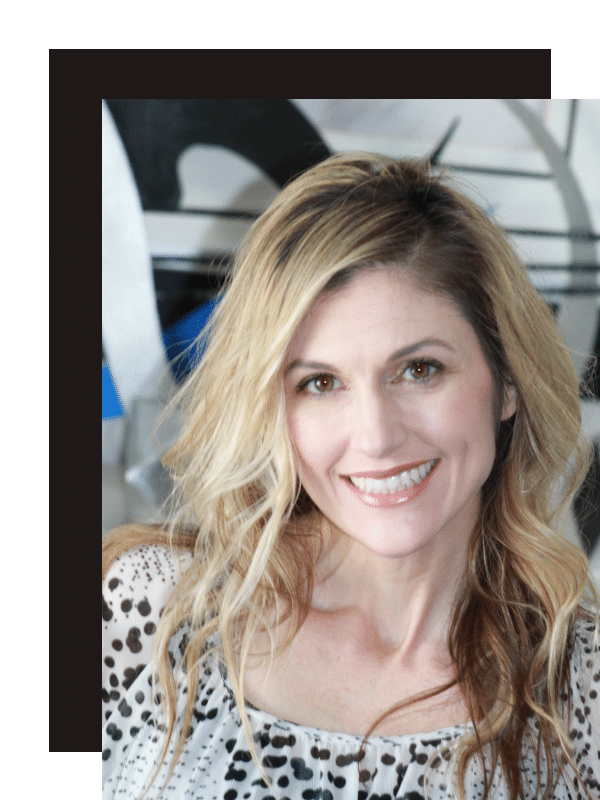 If you want to grow your business with a beautiful new website, I'm here to help!